Carnival fever is in the air in St. Thomas, USVI. 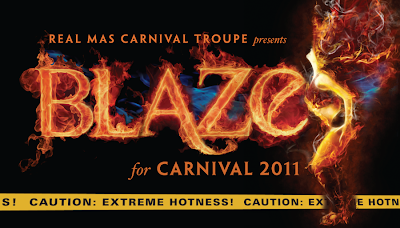 Carnival begins on April 17th - May 7th 2011 and it's about that time for carnival troupes to launch their 2011 costume presentations. Real Mas Carnival Troupe has presented Blaze for this carnival and I think it's their best yet. 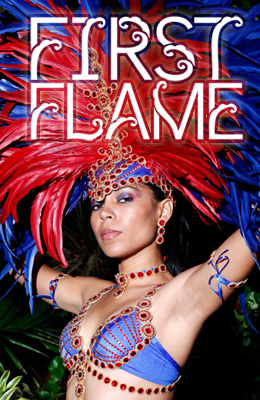 First Flame is my fav... looks like Main Street is going to really be on fyah this year! My girl, Cami looks HOT and that headpiece is freakin' gorgeous. Approaching its third year of existence, Real Mas Carnival Troupe has undoubtedly raised the bar on costume production in the Virgin Islands and the entire carnival experience for its members. 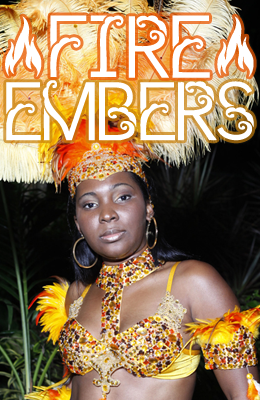 Real Mas is one of few troupes that can boast exclusivity in costume production. 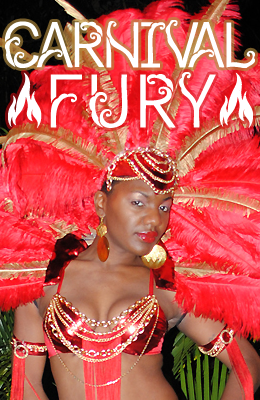 All costumes are designed by Simone Edwards, founder of Real Mas. Her awesome production team is made up of young locals who share her vision for quality and detail and who are not afraid to push the envelope. Real Mas has set out to blaze a new trail for carnivals to come. Real Mas got it!!! Cami costume is hooooot for real, go girl!